I know where you live I know the street address everything one day I’m gonna come and kill you and your whole family If you think I’m joking try me . . . The student population at Stout Middle School–where White, Christian Brianna Lyons and her family were threatened with death–is heavily Shi’ite Muslim, and other White female students who’ve attended the school have been threatened and attacked. I know because I have heard from them and their parents. Stout Middle School’s website lists three Muslim-dominated “Arab” organizations (all of which openly support Hezbollah and HAMAS terrorist groups) on its website and offers Arabic-language instruction and communications with parents. That the three male eighth-grade students who threatened the non-Muslim girl are likely Muslim is probably the reason the story hasn’t been publicized in the national media. But, no worries, you won’t see any of these three male “boys” punished the way they would be–charged as adults, with making terrorist threats–the way they would be if this weren’t Dearbornistan and they were not Muslim. And you won’t see the Dearbornistan Public Schools (where a good deal of sharia is practiced) shutting down over the threat, the way the Los Angeles school district was shut down today. By the way, that the students are Muslim isn’t mentioned because the “reporter,” Mara MacDonald–a hack, whose real name is Mara Pudits or Pudist (or Puditz–I can’t remember or find the exact spelling, but it isn’t MacDonald)–is completely in bed with the Dearbornistan Muslims. As a dhimmi Islamo-panderer, she would never disclose that these were Muslim students. She repeatedly does stories describing extremists in Dearbornistan as “moderate Muslims against terrorism” only because they are against ISIS. But that’s because ISIS is Sunni and its victims are mostly Shi’ites. These same Muslims openly support Hezbollah which has murdered hundreds more Americans than ISIS has. One imam Mara “MacDonald” praised as “on the forefront of moderate Islam and fighting terrorism” is involved in a terror-financing money-laundering ring which sends millions of dollars to Hezbollah and Iran. I know because I was an ICE informant and involved in the investigation. DEARBORNISTAN, Mich. – Brianna Lyons, an 8th-grader at Stout Middle School, opened her locker Monday morning to find a handwritten note that threatened to kill her and her entire family. The school reacted immediately by notifying her parents and police. 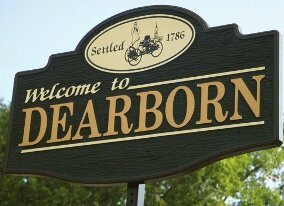 Dearborn police have identified three boys who they say are responsible. One will not be returning to school and two others are currently suspended with the possibility of criminal charges. While the family has nothing but praise for how the threat was handled Monday, it has clearly shaken them. Brianna’s mother, Carol, was dumbfounded by the note. “I never thought I would have to go through this with my kids because we try to protect them all the time,” Carol Lyons said. Why the boys sent the note is a mystery, but motive isn’t really the issue here. Dearborn Police Chief Ron Haddad said this kind of threat will not be tolerated and will be prosecuted to the fullest extent of the law. Brianna is a strong student at Stout Middle School. She’s active in orchestra and cheerleading and has a band concert this week. She’s going to school and said she’s going to try and concentrate on the music, not on the note. Mystery? Not really. They are almost certainly Muslim. And she isn’t. That’s the motive Got that, Mara? How much you wanna bet these three “boys” who threatened this girl and her family with death won’t be prosecuted? Watch the evasive video report. These were only Muslims engaging in non-Muslim behavior. And if you disagree, then you’re a racist, bigot, and an Islamophobe. Nothing here to see, folks. I think I’ve got it down! . . . The official US Government-media leftist, progressive agenda, that is. It is Islam being Islam. As Debbie has said, this matter will most likely be swept under the rug by the authorities. If you or I had pulled a stunt like this as a teen, we would have wound up in jail and faced a long stint in juvenile corrections. It is so depressing. Muslims acting in character — and terrified, dhimmified “Christian” authorities who stand by, do nothing, and pray that the Islamic storm will blow over. Which, of course, it won’t. I’d like to see those punks threaten my family. I’d beat each one of them into the ground. I’m willing to bet that one of the boys made an advance (she’s a cheerleader, after all), and was rejected. The normal reaction is to be a bit upset, and then get over it. The reaction of someone with a lesser view of women, and non-Muslim women in particular, is to issue death threats. It wouldn’t be the first Muslim male who, despite the fact that he touts the sanctity of his religion and the inferiority of infidels, can’t keep it in his pants for a Muslim girl then sways the ‘infidel’ into his religion. I’ve seen it already. A 20 something year old Caucasian girl trying to convince me (and apparently herself) that she’s involved with an adherent of a peaceful religion. It’s scary. Debbie, would you ban the libtard troll Liz Katz? She contributes nothing whatsoever here–or anywhere else, probably. Incidentally, great post about the real Islam and how it is facilitated by dhimmis. Ron Haddad again. He is the one enabling this. He is also the one behind the harassment of David Woods’ group. Wow Debbie Schlussel. You are a dirty-minded,sick, Islamophobe. Every one of your articles regarding the Muslim people since 2005 will come back to bite you. What do you have against Islam? Is it terrorism? Because terrorism is initiated by the individual, not the religion. It is written no where in any Islamic books that threatening others is a form of practicing religion. If you think this note was disgusting and should have been on national media, then what about the CHRISTIAN WHITE BOY who was in 8th GRADE and SHOT an elementary school girl last month for not letting him see her puppy? THIS is the ignorance that white people have. WOW. Duegly, you’re quite the moron and ignoramus, aren’t you? If you’ve actually read Debbie’s articles, you would know exactly why Islam is indeed the primary cause of terrorism in the world today. It’s key texts do indeed encourage terrorism. Also, someone who starts his comments with “wow” is almost always a moron. His handle itself is quite telling, De-Ugly. DeUgly, if you do not see Islam for what it is, not a religion at all, but the world’s largest gang, then you . . .
have eyes but do not see, and a mind, . . .
but void of understanding. 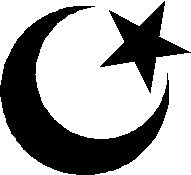 Any five year old who has been paying a modicum of attention for the past four decades or so can tell what Islam is. You are either a total liar or just plain ignorant. You say that no place in any book does Islam say to hurt people? Here are a few choice verses from the Qur’an, you know, that book that their religion is based off of? Islam is the world’s Bully. Bullying nations and cultures since 7th century AD. None of them are Muslim. Two are white and one is Arabic. I know this is a tad tardy, but I had trouble gaining access for a few days, had to run some clean-up programs, set some new controls, and was very tired yesterday, so took a long nap. Well, anyway, it appears that Dearborn Police must have an INCIDENT REPORT and, also, shouldn’t the local School Board have a report as well? FOI REQUESTS re this matter should be made. Since all reports are, supposedly, “PUBLIC RECORDS”, GET THEM AND PUBLISH THEM. Muslim Jihad wannabees or not, Christian scumbags or not…these young guys need to learn a lesson or two about making serious threats. The problem needs to be corrected sooner than later. ps: Hey, Santa, it seems some lumps of coal may be in order for a few people this year. h as this needs tobe sent to the Trump campaign so that he is made aware of just how out of control the Muslim problem is. Trump seems to listen to this type of information. I am certain there will be bloodshed in this country. It needs to start at the place of those who has put this Muslim scourge on American citizens.